Under the provisions of the EU, EEA nationals have the right to reside in the UK. This means that every EEA national benefits from an initial entitlement to reside in the UK for up to three months. Should an EEA national wish to reside beyond this time, you may do so by demonstrating that you meet the requirements for being a “qualified person”. Normally this will be achieved by evidencing that you are either a worker/self-employed/self-sufficient or a student. 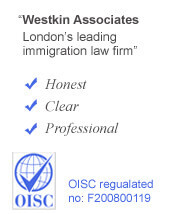 Westkin are able to advice on how you can show how you meet one of these requirements. Should you wish to apply for proof that you are exercising your Treaty Rights in this way, you may do so by applying for a Registration certificate for EEA nationals (EEA1). 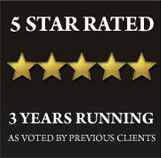 Westkin are able to advise you on how you can achieve to do so and what the application requires and entails. A non- EEA national family member of an EEA national can apply for a Family Permit to join or accompany their EEA family member. They may do so by demonstrating that the EEA national is residing in the UK as a ‘qualified person’ or will be travelling to the UK within 6 months and will be a ‘qualified person’ upon arrival. Upon arrival you can then make an application to switch to the category below. Should your non-EEA national family member of an EEA national be in the UK, they will quality to apply for a Residence card. This can be achieved by demonstrating that the EEA national is residing in the UK and is exercising his Treaty Rights as a ‘qualified person’. For further advice on the types of family members that qualify under this provision and the types of evidence required, please contact us. If you are an EEA national who has resided in the UK continuously for five years as a ‘qualified person’, you will be eligible to apply for Permanent residency (EEA3) provided that you have not spent longer than 6 months outside of the UK annually. If you are a non-EEA family member of an EEA national who has similarly resided in the UK continuously for five years as a ‘qualified person’, you will be eligible to apply for Permanent residency (EEA4). However, should your circumstances have changed, Westkin can advise on how you continue to legally reside in the UK and the options available to you. Please do not hesitate to contact us if you would like further advice on any of the above.